US firm Aquavit Pharma has accused South Korea’s U-BioMed of counterfeiting, drawing a counter-claim of fraud and intellectual property theft. Aquavit claimed last week that the the authorities in South Korea started an investigation into U-BioMed, which it accuses of counterfeiting its AquaGold fine touch product, a microinjection device designed to deliver bioactive compounds into the dermal layer of the skin. 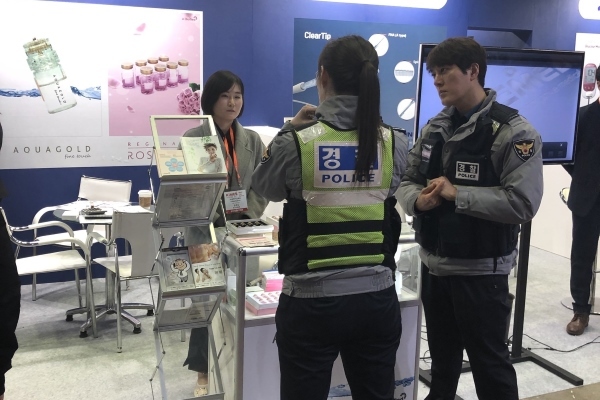 The US company says police seized products from U-BioMed’s booth at the Korea International Medical & Hospital Equipment Show (KIMES), and also questioned company representatives at the booth. In response, U-BioMed says Aquavit “extorted CE and technical specification documents” related to the product – which is known as Tappy Tok Tok in Korea - after expressing interesting in joining the two companies five years ago, presenting a package of information supporting its claim on the U-BioMed website. It also claims that Aquavit fraudulently registered AquaGold fine touch with the Korea Food and Drug Administration (KFDA) in 2016 using stolen IP, even though it had been selling the registered product since 2009. AquaGold fine touch is a single-use delivery device with a reservoir that can be filled with various ingredients, for example vitamins, enzymes, hormones plant extracts, botulinum toxin (active ingredient in Botox) and hyaluronic acid fillers. Fake Botox: run-of-the-mill problem, or security threat?